Donate your car to Cars for Homes, Habitat for Humanity’s car donation program, and help support our local homeownership programs. 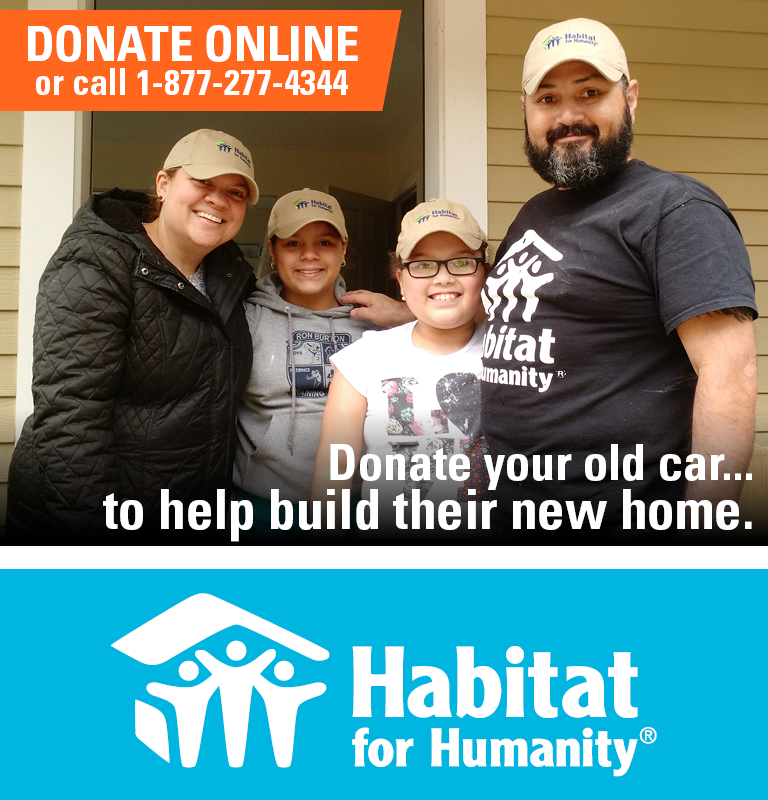 Donating your car to Habitat for Humanity is quick and easy. When you donate your car, we turn it into cash that supports our local work in MetroWest and Greater Worcester. Start your donation online, or by calling our hotline. We will come tow your vehicle for free! All net proceeds from the sale of your vehicle will support Habitat for Humanity and help local families and Veterans here in our communities. Your vehicle donation may qualify for a tax deduction.It’s fast and easy. HOW DO I DONATE MY CAR IN THE METROWEST AND GREATER WORCESTER AREA IN MA? HOW DO I DONATE MY CAR IN THE METROWEST/GREATER WORCESTER AREA IN MA? The State of Massachusetts will require a Certificate of Title in order to donate your car. To complete your car donation, transfer your title by entering the name of the agency that processes our car donations, ADVANCED REMARKETING SERVICES in the buyer/purchaser field. Then, PRINT and SIGN your name in the seller/owner field EXACTLY as it appears at the top of the title. Make sure to select Habitat for Humanity MetroWest/Greater Worcester as your affiliate! Habitat for Humanity MetroWest/Greater Worcester covers: Ashland, Auburn, Barre, Boylston, Brookfield, Charlton, Douglas, Dudley, East Brookfield, Framingham, Grafton, Holden, Holliston, Hopkinton, Leicester, Marlborough, Millbury, Natick, New Braintree, North Brookfield, Northbridge, Northborough, Oakham, Oxford, Paxton, Rutland, Sherborn, Shrewsbury, Southbridge, Southborough, Spencer, Sturbridge, Sudbury, Sutton, Upton, Uxbridge, Wayland, Webster, West Boylston, West Brookfield, Westborough and Worcester.